It wasn’t that long ago when Goldie Loc and Big Tray Deee dominated the airwaves. Now with Tray Deee back home it’s full speed ahead for Tha Eastsidaz. From reuniting at KDAY’s Krush Grove to magazine covers Tha Eastsidaz are back to reclaim their rightful place among the G’z in the rap game. Don’t expect any watered down new age pop hop from these two. They have linked back up with the Boss Dogg (Snopp that is) settled their differences and are back behind the mic where they belong. Check out “GET U RIGHT” and peep the knowledge Snoop drops. 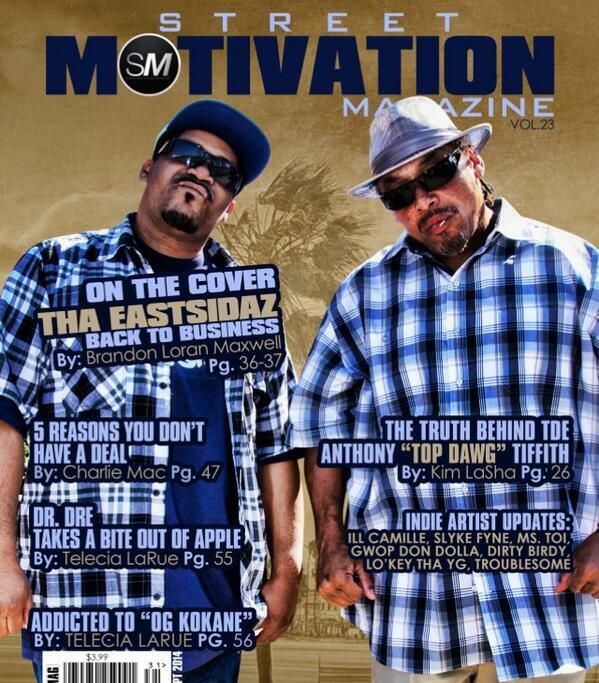 Welcome home to The General we can’t wait to hear the new music and watch Tha Eastsidaz reclaim the throne. This entry was posted in MUSIC, NEWS, VIDEOS and tagged BIG TRAY DEEE, DOUBLE G NEWS, EASTSIDE LBC, GGN, GOLDIE LOC, NEMO HOES, SNOOP DOGG, STREET MOTIVATION MAG, THA EASTSIDAZ, WESTCOAST.